1982 Gold Krugerrand 1oz, 22 Karats. Brilliant, uncirculated condition in plastic coin flip. This coin is verified by Spink. Will arrive in sleeve as pictured. Item specifics as per that seen in pictures. Will only sell and send to a buyer located in Australia. Postage and insurance will be covered by me. The reverse displays “J. GAMBERT ESSAYUER” along with the purity and weight. These are difficult to find! Shape Round. Now with three great locations to serve you! Check us out! PO Box 1210. P.O. Box 1210. 12K 50% Gold 50% Alloy. This alloy is Bright Yellow. It reduces porosity and enables to obtain shiny and smooth surfaces in a Bright yellow. 10K 42% Gold 58% Alloy. You know that you need fine gold to mix with the alloy. Bullion Coin. Gorgeous Bullion Coin! First Year of Issue! Proof Strike. Gem Proof Strike. Minted in West Point, NY. Strike Type Proof. Certification Uncertified. 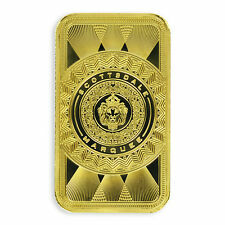 The preeminent gold bar: the Scottsdale Marquee. High design, LBMA certification (good delivery status), and Certi-Lock® authentication technology converge to create functional art. Brand new bars precision struck in .9999 fine gold. 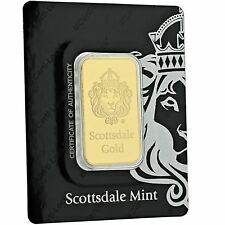 Each bar weighs 1 troy ounce and is sealed in Scottsdale Mint's proprietary Certi-Lock® certificate of authenticity which allows both buyers and sellers to quickly verify the bar's origin and authenticity. PROSPECTOR PANNING FOR GOLD. CONTAINS 1 OZ OF 99.95 FINE GOLD. 2006-W Gold 1 oz. Minted in West Point, NY. MINT: West Point. Includes Box and Certificate of Authenticity, which reads CONDITION: Proof. WEIGHT: 1.0001 troy oz. DATE: 2006. Certification Uncertified. Great for crafts and projects! This is still sealed in its original plastic. The bar depicts the Kuwait water towers and was made by the Union Bank of Switzerland. Country/Region of Manufacture Switzerland. Now with three great locations to serve you! Livermore Coin & Bullion, Inc. We Will Always Disclose Any Issues There May Be with an Item, We will Never Mislead You Just to Make a Sale. Rare Johnson Matthey Assayers Refiners. 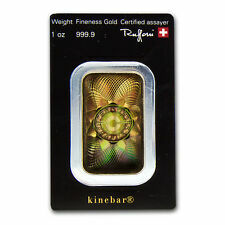 1oz 9999 Fine Gold Bar. Sealed in original plastic. As pictured. 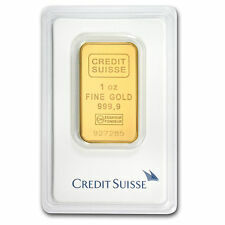 1 oz Gold Bar.9999 Fine in Sealed Card. BEAUTIFUL POURED GOLD ROUND. THIS IS A POURED -NOT STRUCK - 1 OUNCE REPLICA OF THAT COIN. 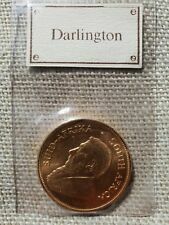 1984 BAKER CITY, OREGON 1 OUNCE NATIVE GOLD PIECE. THE OBVERSE OF THIS PIECE SAYS "BAKER CITY ORE. EOMA 1 OUNCE MORE OR LESS". There are only 9 certificates of authentication. I am not professional grader. .999 Gold Bullion Round "Great Leaders, Great Words" w/ CoA. Gorgeous 1 Oz. Obverse: John F. Kennedy's Speech. From the "Great Leaders, Great Words" Collection. Reverse: Great Leaders Great Words. Words of John F. Kennedy. 3000 Francs. Coin 3000 Francs. Great Bullion! 1 Troy Ounce Gold. Republic du Chad. Country/Region of Manufacture Chad.9999 Fine. Local Pick-up is available in our showroom. 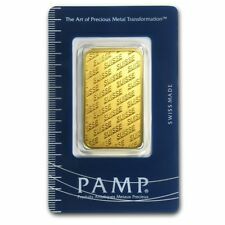 The United States Mint certifies that this coin is a proof version of the one ounce U.S. gold bullion coin. Each coin features a design symbolic of Liberty on the obverse. On the reverse is a design representing a family of eagles, with the male eagle carrying an olive branch and flying above a nest containing a female eagle and hatchlings. Proof w/ Box, Velvet Case, and CoA. Minted in West Point, NY. MINT: West Point. CONTENT: Gold 1.0000 troy oz. (31.1035g). CONDITION: Proof. WEIGHT: 1.0001 troy oz. DATE: 2006.